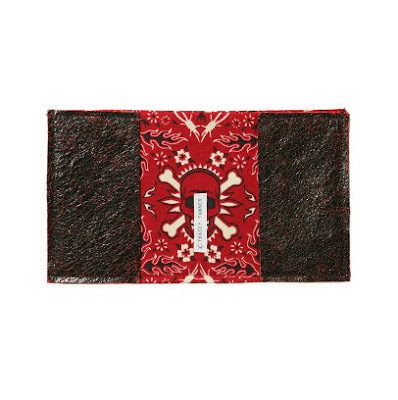 These wallets by Tracey Tanner rock. Tracey rocks. And she replies very promptly to email. The Boy would love these! 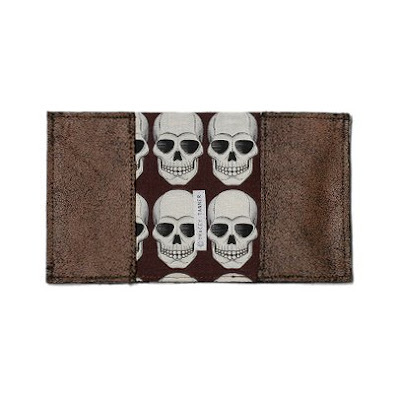 He's got a thing for skulls. We've bought some tiny silver skull buttons (you sew them on through the nostril holes!) to replace one of the buttons on his shirt, so he doesn't feel so boring and grown up! We ordered em for all our boys and Tracey gave us a 15% discount for bulk!